Chiron is now in Aries, for the first time since 1977. This is about the quest for individuality in the most deeply personal way: the cultivation and growth of your soul. There are challenges associated with doing this, which I plan to address eloquently and in a way that you will find reassuring and helpful. Eric Francis at his video desk, in Kingston, NY. Chiron in Aries is good news for those who love learning about themselves, growing and living in a way that is fully committed to who you are. 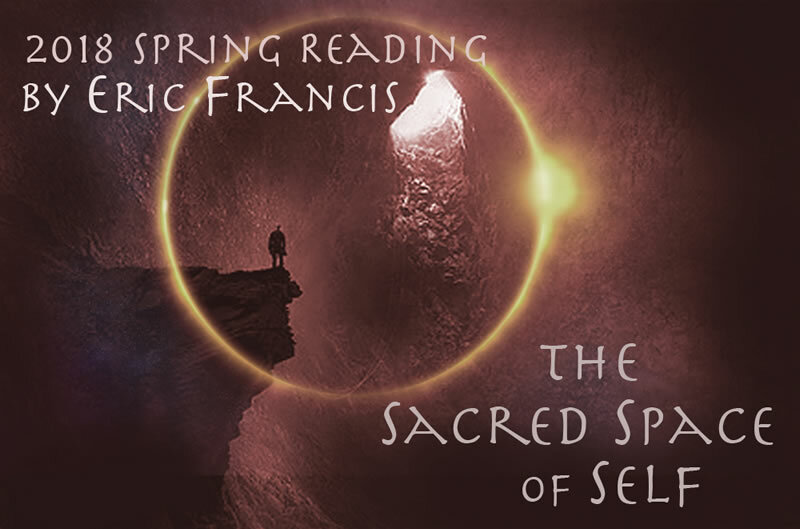 Following up on The Art of Becoming 2018 annual edition, I'm honored to offer you The Sacred Space of Self spring reading. The Sacred Space of Self will come in the form of 12 video presentations, each approximately half an hour in length. These readings will apply to Sun sign, Moon sign and rising sign. They are offered as a package, and will interlink with and support one another. One topic I will focus on is the special challenge of growing and evolving when you're involved in an intimate relationship -- and your partner is not growing as fast as you are, or does not want to. Delivery is projected for the month of May. Given the complexity of the project, there's no way to give a better estimate, but May (as early as possible) seems doable. First, this is one purchase per household. You may share with your significant other and relatives. This reading will contain useful information for both adults and children. Planet Waves products are introduced at the lowest price, and then we increase gradually. We are introducing all 12 signs of The Sacred Space of Self for $88, which is equivalent to about $7.33 per sign. Right before publication, $99. Once we publish, the final price will be $111. If you want the best bargain, please purchase early! For even better discounts, become a Planet Waves member, or call us at (845) 481-5616. My readings are warm, personal, and presented in plain talk, not astrological jargon. When I make an astrological point, I will show you using a clear illustration. 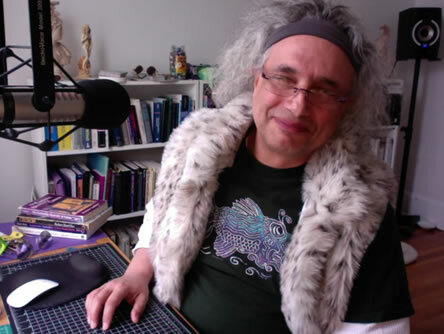 In these readings, I draw upon my experience as an astrological counselor, a workshop presenter, plus extensive therapy training, tantric work. More than anything, I strive to be motivational. Over the past 24 years of doing this work, I have developed the "solar chart" method of reading more effectively than it's every been used before. The solar chart allows me to give readings close in detail to a personal reading, but without needing your birth data. This allows me to bring you real astrology at a small fraction the cost of a personal reading -- and often deliver observations and insights that might not make it into a one-on-one session. Notably, this is the time of year when I can do a few individual readings, which you can learn more about here. Planet Waves (ISSN 1933-9135) is published each Sunday and Thursday evening in Kingston, New York, Planet Waves, Inc. Core Community membership: $197/year. Editor and Publisher: Eric Francis Coppolino. Web Developer: Anatoly Ryzhenko. Astrology Editor: Amanda Painter. Eric's Assistant: Ellen Dockery. Client Services: Amy Elliott and Victoria Emory. Finance: Andrew Slater. Domestic Engineer: Jade Moon. Technical Assistant: Emily Thing. Astrology Fact Checker: Len Wallick. Copy Editor and Fact Checker: Jessica Keet. Media Consultant: Andrew McLuhan. Music Director: Daniel Sternstein. Bass and Drums: Daniel Grimsland. Additional Research, Writing and Opinions: Yuko Katori and Carol van Strum.